After about a decade of peaceful cohabitation, an Ontario woman recently had to evict her roommates — all 100,000 of them. 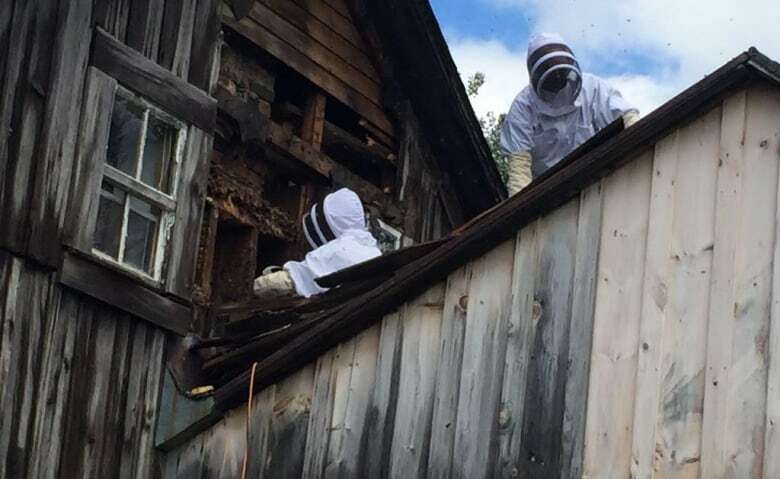 When pest control worker Kevin Smith got the call to remove a swarm of bees from the walls of a Caledon, Ont., home, he had no idea what was in store for him. "The more boards that we released, the more combs that came out. And eventually, I guess after three or four boards, we started to reveal the size of the hive that we were dealing with," Smith, the owner of ICE Humane Wildlife Removal & Pest Control, told As It Happens host Carol Off. "We were cutting off combs that were probably a foot-and-a-half long and 18 inches wide, and we'd cut off four of them and realized there was a whole other row in the back. And then we cut those off, and we realized there was a whole other row in the back." In the end, they ended up with three 2.5-gallon buckets full of bees — approximately 100,000 of them. And it turns out that bees, much like people, aren't big fans of moving. "Everyone got stung at one point," Smith said. "They were not very happy. They followed us out to our trucks, and I guess they kind of waited." 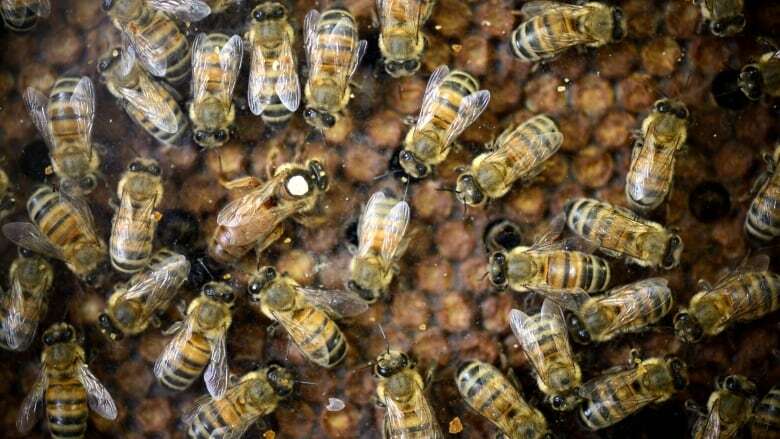 A normal swarm, Smith said, has about 10,000 to 15,000 honey bees. He estimates it would take a least 10 years, "if not more," for the population to swell to nearly 100,000. The homeowner told CTV she knew the bees were there, but didn't realize how many she had until a friend pressed his ear to the wall and heard them buzzing. She eventually had to have them removed because she was expecting a guest with a severe bee allergy, Smith said. "They kind of lived in their part of the home, and she lived in hers. They never really bother her, so she just let them be," Smith said. "And that's just not the kind of insect you really want to let be — heh, let bee — because the numbers just get out of control, right?" Thanks to Smith's specially designed vacuum removal system, ICE was able to remove the queen bee and all her workers unharmed. He then delivered them to a local beekeeper. "He couldn't believe how many bees we had. This was way beyond his expectation," Smith said. "He adopted them, and they're thriving. They already begun making new honey and laying larvae and away they go."